In stock -This product will ship today if ordered within the next 2 hours and 37 minutes. 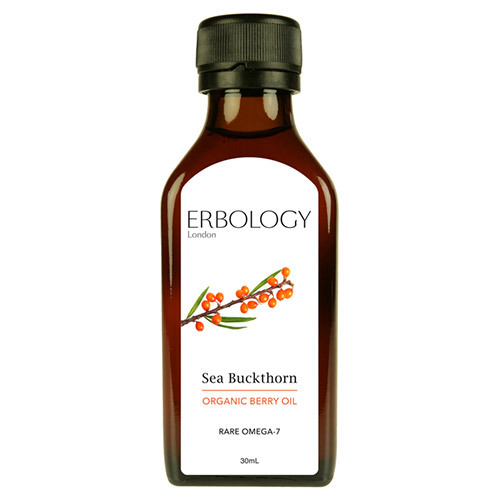 Erbology`s organic sea buckthorn berry oil is a powerful antioxidant and moisturiser rich in vitamins and rare omega-7 fatty acids. Sea buckthorn berry oil is centrifuged and only the pulp of sea buckthorn is used. It is rich in rare omega-7, vitamin E and beta-carotene, 1-2ml a day, for internal and external use. This oil helps nourish and moisturise your skin. Please note it has a very strong red colour. Organic sea buckthorn berry oil. As a dietary supplement, take 20-40 drops (1-2ml) daily. Add to smoothie, yogurt or porridge. Topically, apply a small amount onto desired skin area as needed. 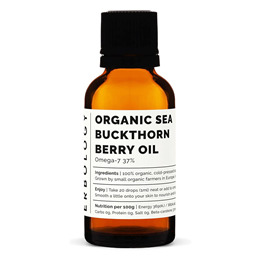 Below are reviews of Erbology Sea Buckthorn Organic Berry Oil - 30ml by bodykind customers. If you have tried this product we'd love to hear what you think so please leave a review.